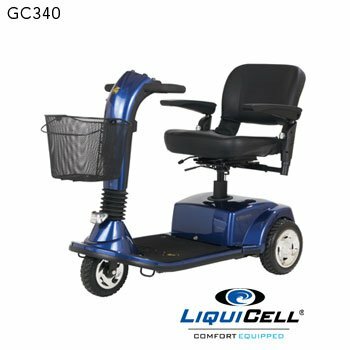 The Companion GC-340D scooter offers more legroom and foot room with a wider front deck and a stylish new design. 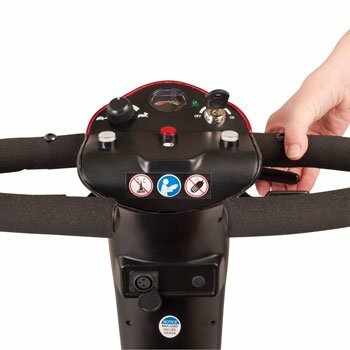 New features include easy disassembly; an adjustable LED headlight; an ergonomic control panel design with a backlit battery gauge display; a wraparound Delta tiller for easy steering; and an optional power-elevating seat. With a weight capacity of 350 lbs., a maximum speed of 4.5 mph and a range of 16.5 miles, the Companion GC-340D is the ultimate value in a full-time portable scooter.